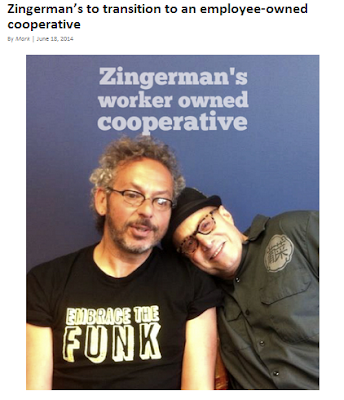 Everyone's favorite deli based empire, Zingerman's, has announced plans to become an employee owned cooperative. According to MM, Paul and Ari and their 18 person management team are exploring how to transition the company into a cooperative in which the 600 or so employees share ownership. Pretty cool.